Two pilots, a special "wellness" menu and more than seven weeks' worth of film and television entertainment were expected to accompany travellers on the 16,700-kilometre (10,400-mile) journey to the Big Apple. 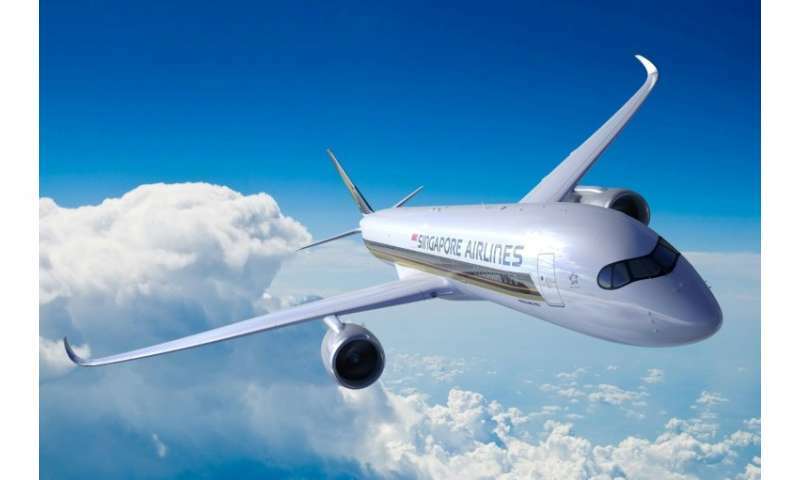 Singapore Airlines will use the long-range Airbus A350-900ULR, configured to carry 161 passengers—67 in business class and 94 in premium economy, with no regular economy seats available. 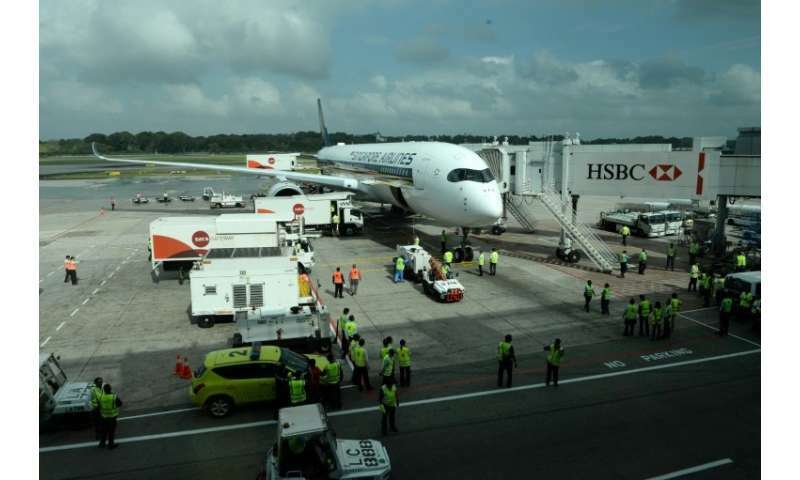 For the flight crew—which also includes two first officers and a 13-strong cabin contingent—the work load will be broken up, the airline said, with each pilot having a minimum eight hours' rest during the flight. Dining options will include dishes the airline says have been selected to promote well-being in the skies, with organic dishes on the menu. The cabin has higher-than-normal ceilings, larger windows and lighting designed to reduce jet lag—all part of an effort to lessen the stresses that can accompany almost a day on a plane. 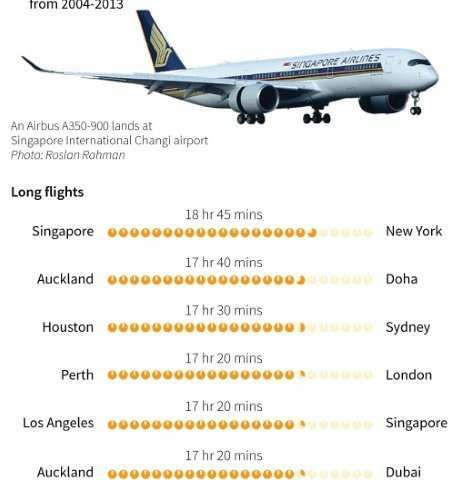 Graphic on the world's longest commercial passenger flights. 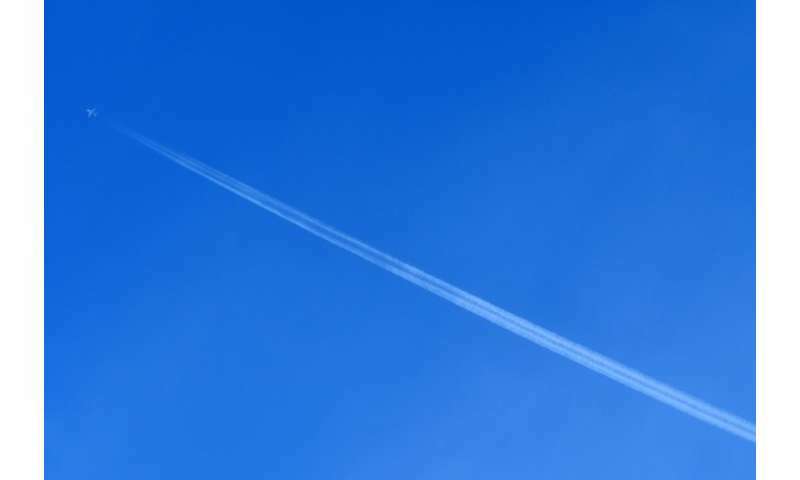 The twin-engine plane that will make the journey uses a modified system that burns 25 percent less fuel than other aircraft of a similar size, Airbus said. Thursday's flight will top the current longest direct link between cities—Qatar Airways Flight 921 from Auckland to Doha, which takes 17 hours 40 minutes.